MSD's Pro-Billet Front Drive distributor is the solution for race engines that don't have room for a standard distributor due to firewall clearance or intake combinations. 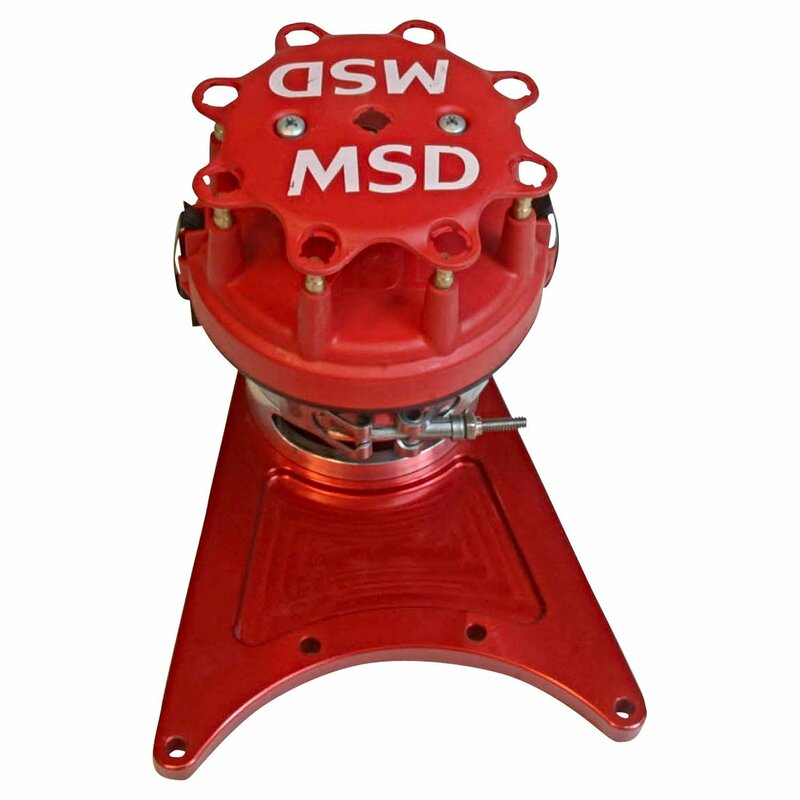 The MSD Front Drive distributor is belt-driven from a pulley installed on the camshaft. For increased strength and durability a 9mm belt is used which is wider than any other drive assembly. The distributor head is CNC-machined from a billet of aluminum and is secured to a strong precision bracket. This system is an extremely accurate way to distribute the spark energy from your MSD Ignition! We revised the front drive with our standard Ford-style cap and rotor. This creates a downsized package for an easier fit in tight engine compartments. The Front Drive distributor is supplied with mounting bolts, cam pulley and drive belt. Note: Must be used with a Jesel or Comp Cams Camshaft Belt Drive Kit and an MSD Flying Magnet Crank Trigger.